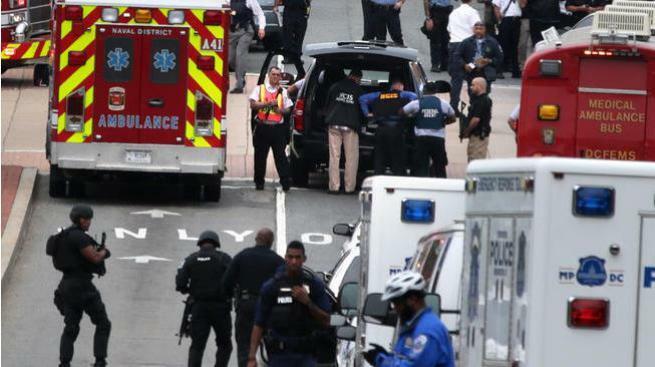 U.S. Navy officials have issued an apology for their response to a News4 reporter’s request for materials related to the September 2013 Navy Yard shooting rampage. In an email to News4's I-Team reporter Scott MacFarlane, Navy administrator Steve Muck asked MacFarlane to "accept [his] apologies" for an internal memo sent to MacFarlane by a Navy Freedom of Information Act (FOIA) officer. In the memo, a Navy FOIA officer details a strategy to reject and stymie MacFarlane's requests for emails, photos and memoranda related to the Navy Yard shooting, in which 12 people died. Another Navy official acknowledges the memo was sent to MacFarlane by mistake. In the memo, Navy FOIA official Robin Patterson refers to the reporter’s request for Navy Yard materials as a "fishing expedition." Patterson recommends several methods for FOIA staff to deflect MacFarlane’s request, including "negotiating with requester" to limit his search for photos. In the memo, Patterson also suggests FOIA staff encourage MacFarlane to "narrow" his request for official Navy memoranda, by convincing the reporter his search would be "costly." She also writes, "Just because they are media doesn't mean that the memos would shed light on specific government activities." Patterson advises colleagues she is working on a separate response for MacFarlane's request for Navy officials' emails from Sept. 16, 2013. "This one is specific enough that we may be able to deny," Patterson writes. The Navy has denied media access to Navy Yard Building 197, the site of the September shootings. Naval officials have temporarily relocated Building 197 employees to an office space at Buzzard Point in Washington, D.C., as repairs are made to the shooting site. After MacFarlane posted images of the Navy FOIA office memo on social media, the agency apologized to MacFarlane via email. The agency also posted a statement of its own on Twitter.